Unomgcana | Exhibitors | LagosPhoto | International art festival of photography in Nigeria. 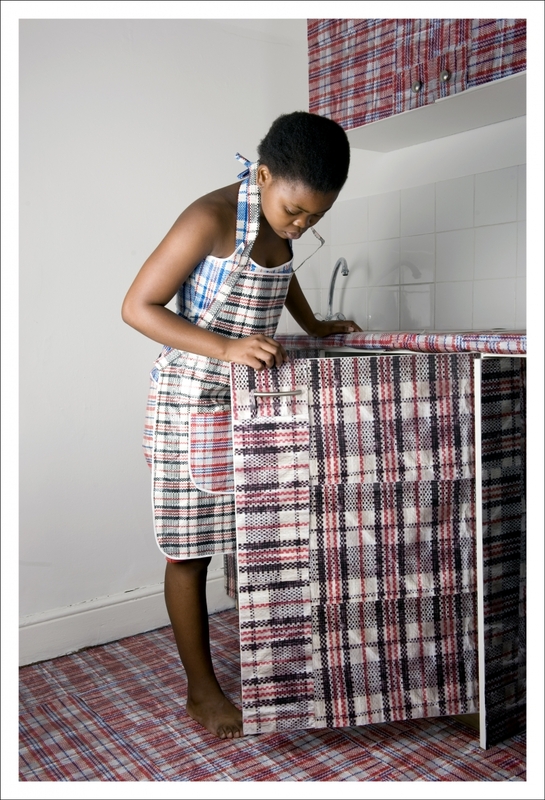 Unomgcana or Umaskhenkethe is the Xhosa word for the plastic mesh bag, which is made in China. Unomgcana means ‘the one with lines’ and Umaskhenkethe means ‘the traveler’. 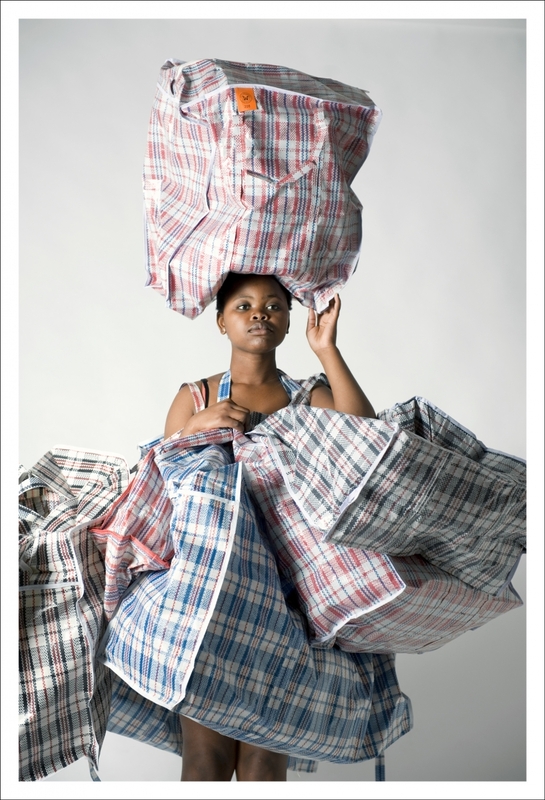 In South Africa the bag is more commonly known as China bags, Zimbabwe bags, Khumbulekhaya bags or Mashangaanbag. These bags are ubiquitous and go by many names: the ‘Ghana must go home’ bag in Nigeria, Bangladeshi bag in the UK, Turkish bag in Germany, Mexican bag in the US and Guyanese Samsonite in the Caribbean. These alienating names reveal something of the anxiety expressed towards the carriers of these bags in the communities they relocate to. These bags have become global symbols of migration - not only across borders but also within countries. They are objects that carry a home and act as a means of survival for one who does not have much. Nobukho Nqaba was born in Butterworth, Eastern Cape (1992) and moved to Grabouw (1998) where she attended a farm school for three years. Nqaba graduated from Michaelis School of Fine Art (UCT) in 2012. In the same year she was awarded the Tierney Fellowship, mentored by Svea Josephy and Jean Brundrit. Nqaba went on to complete her post- graduate diploma in teaching (also at UCT). She is currently a practicing artist and teacher in Cape Town. 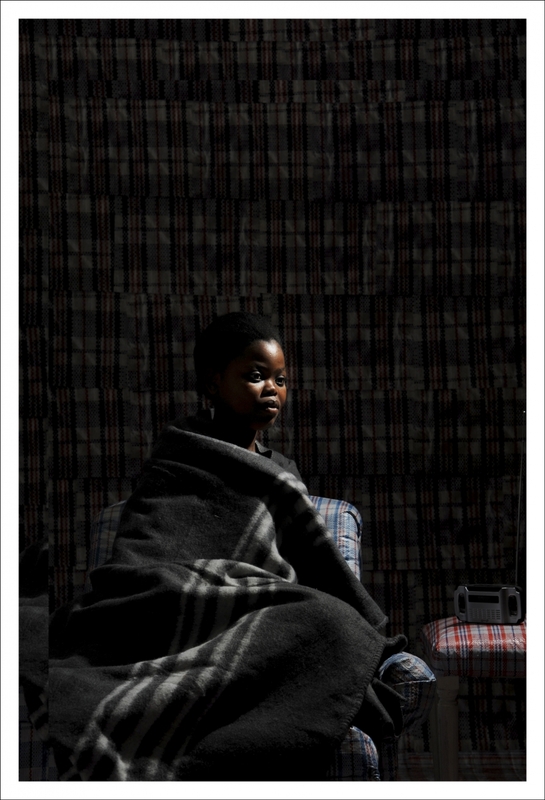 Nobukho’s work was exhibited at THAT ART FAIR (2015) and she is the only artist from Africa to be featured in the upcoming (3rd) edition of Swiss publication and travelling exhibition ‘Regeneration: photographers of tomorrow’.